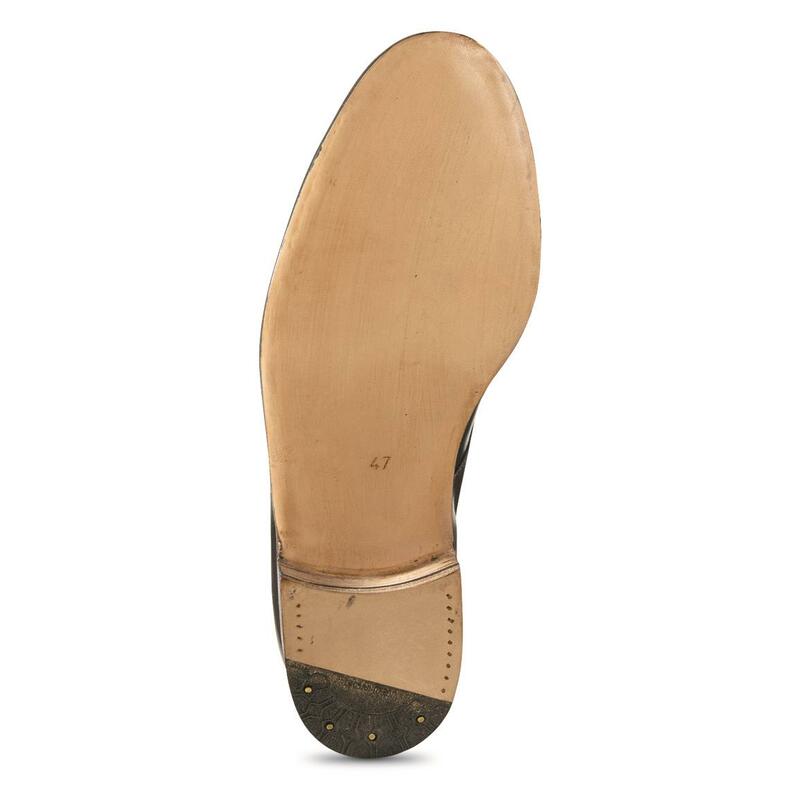 Put a little pep in your step with these German Military Surplus Leather Dress Shoes. 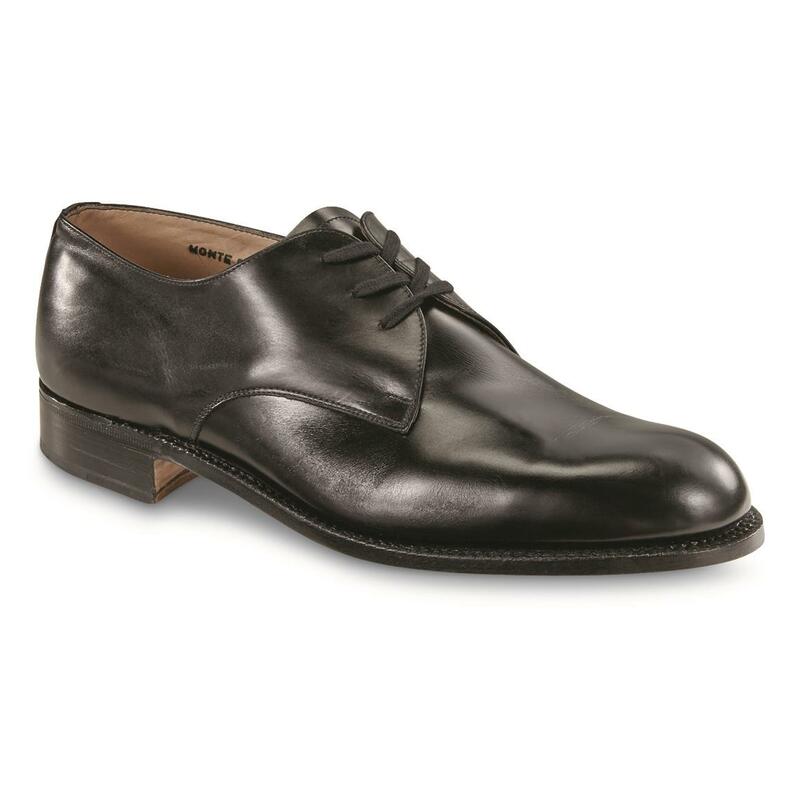 Snazzy Leather Dress Shoes look excellent at the office or your favorite saloon. Genuine leather uppers, with a leather stacked heel and composite wear plate — all in sleek black — for a truly stylish look that pairs well with dress pants, jeans, or slacks.